The most prominent performer of spoken word recordings on Edison cylinders was elocutionist Harry E. Humphrey. Featured on Cyberbee are recordings he made of poetry recitations and monologues of famous speeches, including ones by James Whitcomb Riley, Abraham Lincoln, Patrick Henry, and George Washington. Edna Bailey is featured telling bedtime stories, The Three Bears and Chicken Little. The National Phonograph Co. and Thomas A. Edison, Inc. American Memory Collections at the Library of Congress. 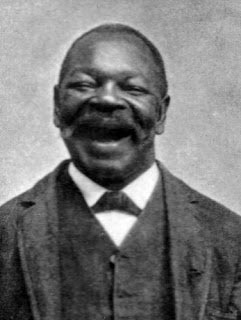 Born a slave, George W. Johnson became the first African American recording artist in 1890. His tune, The Laughing Song was a huge hit. By 1895, Johnson's tunes were the best-selling recordings in the United States. The total sales of his wax cylinders between 1890 and 1895 are estimated to have been at 25,000 to 50,000, each one recorded individually by Johnson. He continued recording throughout the 1890s and eventually was recorded by Berliner, Edison, and Columbia. Warning: Historical recordings may contain offensive language. This selection is presented as part of the record of the past. It is an historical document which reflects the attitudes, perspectives, and beliefs of different times. Cyberbee does not endorse the views expressed in this recording, which may contain content offensive to users. The first woman to achieve widespread acclaim as a professional recording star was Ada Jones (1873-1922) who was called “the first lady of the phonograph.” With her clear, strong voice and excellent diction, Jones was one of the first women to successfully record on commercial cylinders and discs. Her repertoire included dialect sketches, conversational duets, and comic songs. Jones was born in Lancashire England in 1873 and in 1879 traveled with her family to Philadelphia, Pennsylvania. Ada’s earliest stage performances were in juvenile roles in the 1880s and a brief recording stint with the North American Phonograph Company until their demise. In 1905, Edison and Victor both released titles by Jones. She recorded a number of duets with Billy Murray and Len Spencer. Her popularity declined when jazz took center stage. Ada Jones died of kidney failure in 1922. She was survived by her husband Hugh Flaherty and one daughter. Sutton, Allan. A Pre-history of Ada Jones: 1889- 1905. Denver: Mainspring Press, 2000. Spoken Comedy on Edison Diamond Discs (1912-1929). Edison Sound Recordings The National Phonograph Co. and Thomas A. Edison, Inc. American Memory Collections at the Library of Congress. Christine Miller was regarded as one of the most important concert singers in the United States. She performed in many concert tours. 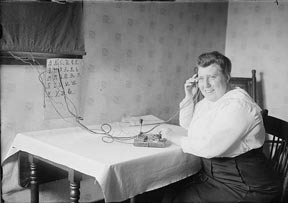 In several venues she demonstrated tone tests to promote Edison disc recordings. Miss Christine Miller, the noted concert contralto, demonstrated in a recital at Symphony Hall, Boston, how thoroughly Edison has made it possible to reproduce all shades of tone and sweetness of the human voice. Miss Miller, standing beside one of the phonographs, singing in unison with herself, it being impossible to distinguish between the singer's living voice and its re-creation. She sang a few bars and the instrument blended perfectly with her voice. She ceased and the instrument continued the air with the same beautiful tonal quality. Miller recorded songs until 1918 when she married Pittsburgh steel manufacturer, Daniel M. Clemson. Edison Advertisement. Farm Journal, Vol. 42 May, 1918, p. 280. Edison Advertisement. The Milwaukee Journal, December 2, 1915, p.9. Murray was born in Philadelphia, Pennsylvania in 1877. In 1882, at the age of five, he moved with his parents to Denver, Colorado. During his youth he became interested in theater and joined a vaudeville troupe. He also performed in minstrel shows. By 1903, he was recording for the major record companies. Known as the Denver Nightingale, Billy Murray was one of the most popular entertainers of his day. He was best known for his comic and novelty songs, although he performed ballads and romantic numbers as well. Tunes like Casey Jones, Grand Old Rag (Flag), Come Josephine in my Flying Machine, The Little Ford Rambled Right Along, and In My Merry Oldsmobile were big hits. He also sang duets with Ada Jones and Aileen Stanley and was a member of several quartets. When the technology changed from an acoustic recording horn to the electric microphone in the 1920s, his “hammering” style of singing didn’t work as well. Although, he was less in demand, Murray continued to record, did voices for animated cartoons, and worked in radio. He died of a heart attack in 1954. He was married three times. The first two ended in divorce. He was survived by his third wife, Madeleine. Canadian-born Geoffrey O’Hara was a composer, singer, music professor, and ethnomusicologist. He moved to the United States in 1904 and began recording for Edison Records in 1905. In 1913, he was appointed by the Secretary of the Interior to be an instructor of native music. He collected and recorded songs of the Navajo Indians on wax cylinders. O’Hara sang several of the Navajo songs on a 1914 Edison cylinder titled, Navajo Indian Songs. Theodore Roosevelt had this to say about O’Hara in A Book-Lover’s Holidays in the Open published in 1916. Among the others at the snake-dance was Geoffrey O'Hara, whom Secretary of the Interior Lane has wisely appointed instructor of native Indian music. Mr. O'Hara's purpose is to perpetuate and develop the wealth of Indian music and poetry—and ultimately the rhythmical dancing that goes with the music and poetry. The Indian children already know most of the poetry, with its peculiarly baffling rhythm. Mr. O'Hara wishes to appoint special Indian instructors of this music, carefully chosen, in the schools; as he said: "If the Navajo can bring with him into civilization the ability to preserve his striking and bewildering rhythm, he will have done in music what Thorpe, the Olympic champion, did in athletics." Miss Curtis and Mr. O'Hara represent the effort to perpetuate Indian art in the life of the Indian to-day, not only for his sake, but for our own. This side of Indian life is entirely unrevealed to most white men; and there is urgent need from the standpoint of the white man himself of a proper appreciation of native art. Such appreciation may mean much toward helping the development of an original American art for our whole people. 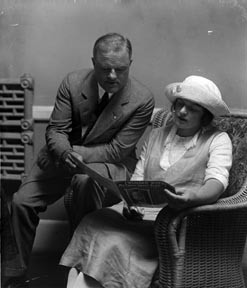 He married Constance Dougherty in 1919, the same year he became a naturalized American citizen. They had two children. O’Hara went on to teach at the Teachers’ College Columbia University (1936-37), Huron College, and the University of South Dakota where he received an honorary Doctor of Music degree in 1947. His biggest hit was K-K-K-Katy written in 1918. O’Hara was also a popular lecturer until his death in 1967. 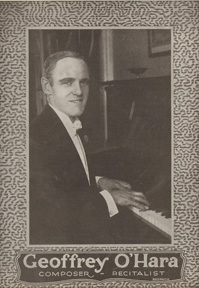 Geoffrey O'Hara, composer, singer and lecturer (1882-1967. 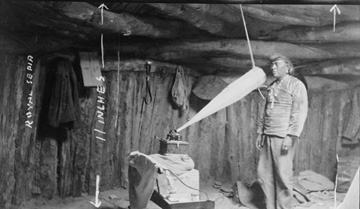 The Virtual Gramophone: Canadian Historical Sound Recordings. Gracyk, Tim, Cooper, B. Lee, and Hoffman, Frank. Popular American recording pioneers, 1895–1925. Binghamton, New York: Haworth Publishing, Inc., 2000. Roosevelt, Theodore. A Book-Lover’s Holidays in the Open. New York: Charles Scribner’s Sons, 1916. Copyright by Geoffrey O'Hara, New York, N.Y.
Cal Stewart, Circa 1900. Photographer unknown. 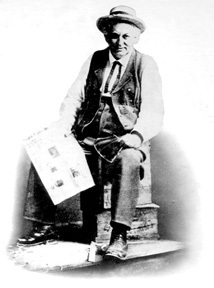 Cal Stewart was known for his comic monologues as Josh Weathersby who lived in an imaginary New England town, Punkin’ Center. The stories featured rural humor that focused on topical events such as Groundhog Day at Pumpkin Center or modern life such as Uncle Josh in a Photograph Gallery. His boisterous laugh at the beginning and end of the recordings was a Cal Stewart signature. Cal Stewart’s wife, Rossini Waugh Stewart, played Aunt Nancy on the early Uncle Josh recordings. Later, Ada Jones, assumed that role. Cal Stewart died from a brain tumor in 1919 and his wife died in 1943.